While Google+ was slow to take off, since it launched, early adopters have seen a remarkable uptick in engagement and are beginning to understand what succeeds on G+. While the platform may not yet have the fan base of Twitter or Facebook, Google+ has been steadily gaining ground and convincing users to try it out. Further, many of the questions that skeptics initially had about how to use G+ have been clarified through analytics data: For example, the most popular post types on G+ are photos, followed by articles. However, all of this talk about the success of Google+ is cold comfort for marketers who are unsure how to measure their effective content marketing efforts on G+. Here, we’ll take a look at some of the best strategies out there for analyzing your brand’s Google+ successes. In addition to how comprehensive All My + is, what’s best about it is that is simple to use. 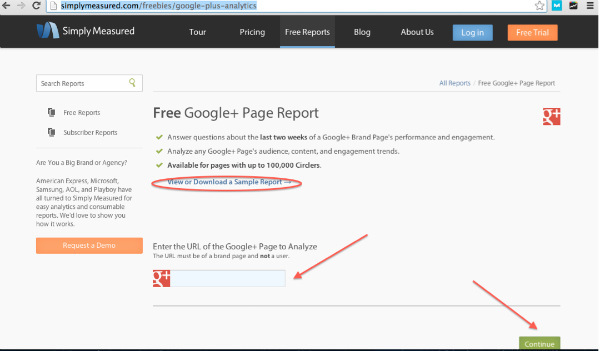 This tool provides a free report on any Google+ brand page. (Note that this service is not available for personal Google+ pages.) 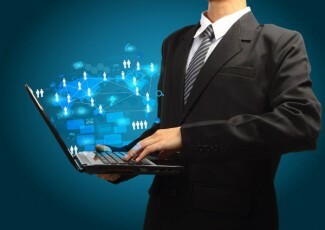 It pulls information on engagement rates, comments, keyword analytics, and top users. What’s more, just like All My +, it could not be easier to use. However, one limitation of the tool is that if the Google+ page you are interested in is larger than 100,000 circles, the report cannot be generated. 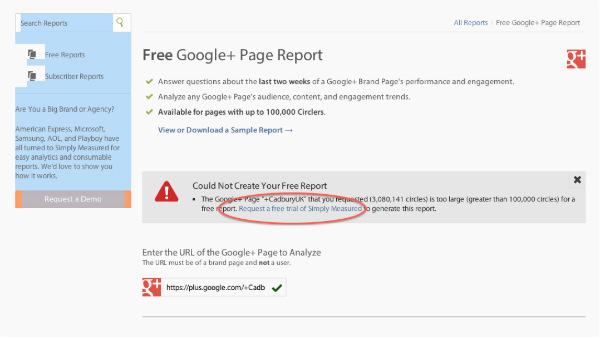 If this is the case, you can sign up for a free trial of Simply Measured, which will generate the report for you (even for pages with a huge number of Circles, like Cadbury). If your brand is in fewer than 100,000 circles, however, here is an example of the type of information you’ll see in your report. The following are examples of the report generated for Teavana. 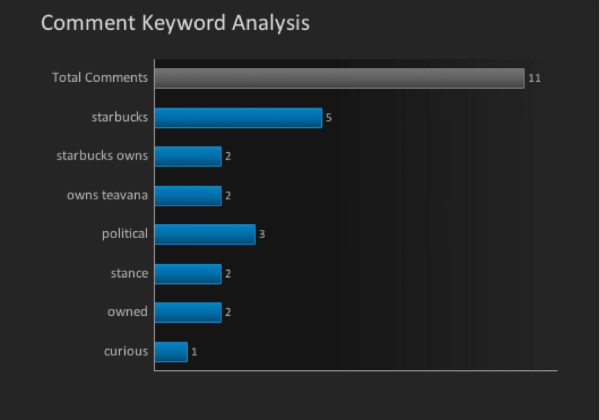 Use keyword analysis data to understand what elements of your posts and other content are getting people to comment. The Simply Measured report will also show you who your top commenters are. Use this data to learn who is talking about you… and who you might want to empower to do more talking on your behalf. The report also allows you to see how many +1s, comments, and reshares your posts receive in total. In exchange for the free report, you do need to follow Simply Measured on Twitter, which is not a bad exchange, considering the amount of information you’ll receive. Seeing how your Clout rank changes over time in response to your content marketing efforts. CircleCount prides itself on helping you to better understand Google+, and is one of the best resources around to do just that. Search your own profile on CircleCount and you will receive a free and simple-to-use report. 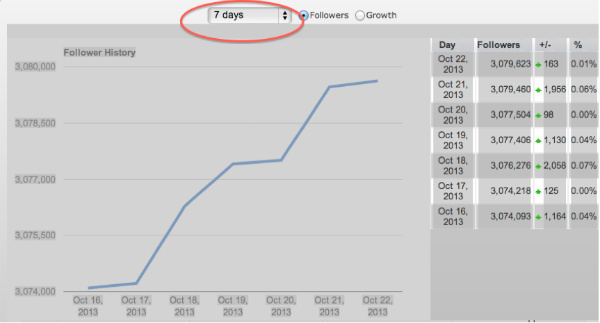 CircleCount will also provide you with a handy chart that graphs your followers. You can examine data for a week, a month, a year, etc. Use the CircleCounts chart feature to identify overall patterns and trends as they relate to your particular followers, and your specific industry. For example, it might show you if your follower rates tend to increase in the summer months. Another use for these charts is to attempt to correlate changes in follower rates with your ongoing content optimization efforts. For example, if you had a major jump in followers during a given week, CircleCounts charts can help you understand what may have been behind this surge, and what you can do with your future content efforts to replicate this success. Recommended Users is to Google+ as Followerwonk is to Twitter. The tool segments Google+ users into categories, such as women in tech, top Googlers, gaming, celebrities, journalists, etc. Each category ranks users according to their level of influence. The tool is mainly useful for individual user profiles, but if maintaining a Google+ user profile for a brand spokesperson is part of your content strategy, Recommended Users can be helpful for this, as well. While the tool is useful for finding influencers to follow and add, it is also good to see how your own profile ranks in industry influence. 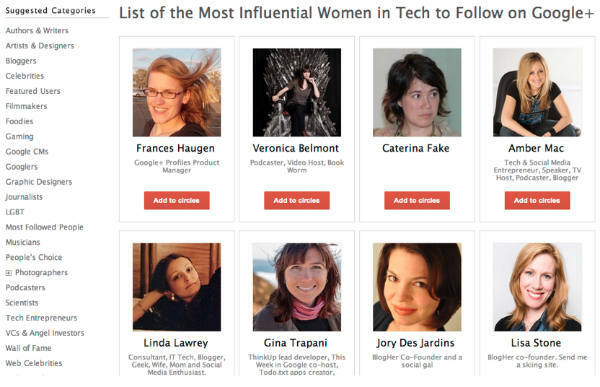 For example, if you are a woman looking to build thought leadership through your technology-focused content, does your profile show up in Recommended Users’ Women in Tech section? Knowing how sites like Recommended Users rank your profile can provide important insights into how well your Google+ content is working, and provide you with valuable insight to guide your next steps. Google+ can be a powerful component for any social or content marketing strategy — and one that marketers of all stripes are coming to appreciate more and more. However, just as is the case with most marketing efforts, it pays to understand exactly how your efforts play out in practice. As Google+ users continue to swell the ranks of social, it is likely that more and more resources and tools will be devoted to helping users understand how best to engage with audiences on the platform. And that is a +1 for all of us! To learn more about evaluating the impact of your content marketing on social media channels, check out CMI’s eGuide, Measuring Content Marketing Success. Britt Klontz is a Digital Content Strategist at Distilled, an online marketing company. She thrives on planning and coordinating content marketing campaigns and is always keeping a close eye on the latest viral trends. Say “hi” and give her a shout on Twitter @Britt_Klontz, she’s always interested in having a chat about digital marketing tactics and social networking in general.